Every day brings another news article and/or more data about the affordable housing crisis in Western societies. The pungent perfume of Lotium Pour Homme drifts through the parks and streets of our most prosperous cities, which are crowded with men, women, and children in desperate need of human charity and/or physical shelter. These homeless and chronically poor, instead of being employed for their honest livelihood, are forced all the time to beg sustenance of family, friends, and strangers; or else queue long hours awaiting the welfare of the State; turn to thievery for want of work; re-enlist to fight for their dear, native country in Afghanistan and/or Iraq; or, egregiously sell their dignity to the Fourth Estate. All parties appear to agree about the deplorable conditions arising from the manifest lack of affordable choices in the housing markets of Western societies. Therefore, whoever could devise a fair, cheap, and easy method for readily available housing, thereby making more fair the socioeconomic conditions of our greatest cities, would deserve nothing less than his or her statue erected as the savior of Democratic Capitalism. However, our intention is far more than merely providing a fair solution to the housing crisis. The goal of our proposal is nothing less than the salvation of urbanism itself and the city as a physical artifact of our collective, human nature. Many people have had different proposals – many discussed, some implemented, and others ignored – for solving this problem over the decades. Yet, the problem persists, even worsens to this day. This is because most solutions have been and are grossly mistaken in their approach to the problem. It is true, Keynesian economics does have some relevance to urban problems at the discrete scale; and what is Marxist economics but an extreme, all-encompassing version of Keynesian principles. 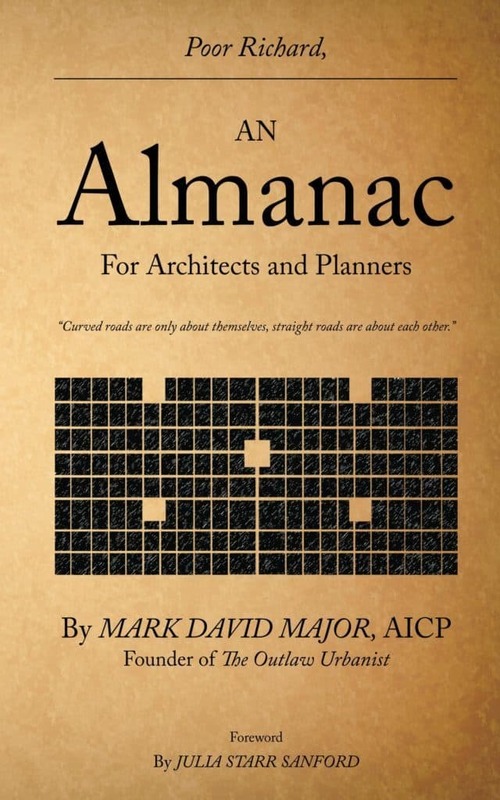 However, our greatest cities, especially those in the United States such as Boston, New York, Philadelphia, Savannah, Chicago, and San Francisco, were the product of private industry, both individually and collectively, before the 20th century. What has the Keynesian-produced city become after the landmark period of 1926-1945 in Western societies? Milton Keynes, Orlando, Las Vegas, Atlanta, and Phoenix to name but a few. These are not places but are the haphazard accumulation of more locations. 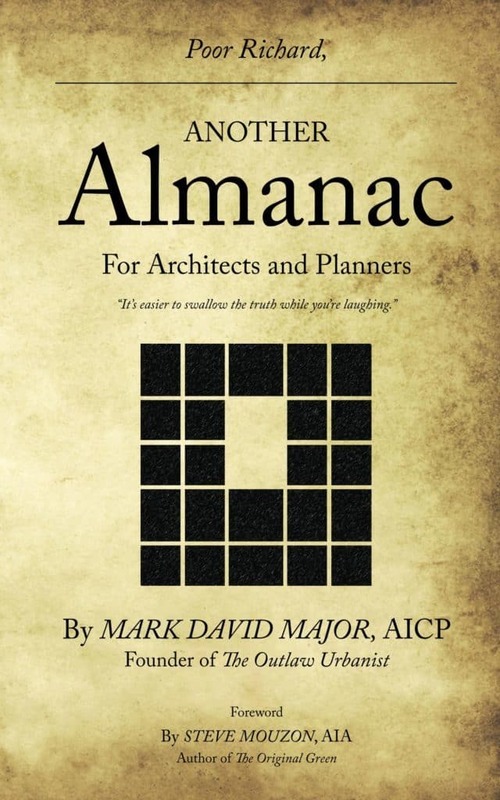 They are blasphemous to the goals of sustainable urbanism and synergy of place. Fairness in housing is choices. The most abundant housing supply offers the most diverse of affordable choices under normal market conditions. We must pursue normality in our housing markets, not their continual perversion under Keynesian principles. This means private industry aggressively increasing supply. Developable ‘Greenfield’ Sites: (top) Central Park in New York, New York; and, (bottom) Golden Gate Park in San Francisco, California. At the same time, I have been assured by the publicist of a knowing Canadian of everyone’s acquaintance in New York, that thousands of acres of public parks and lands in our cities have enormous, untapped potential as ‘greenfield’ sites for private development to construct more housing supply in Western societies. The computations available to us strongly indicate the possibilities of ‘greenfield’ development might truly be without limit in resolving the affordable housing crisis by the provision of supply. 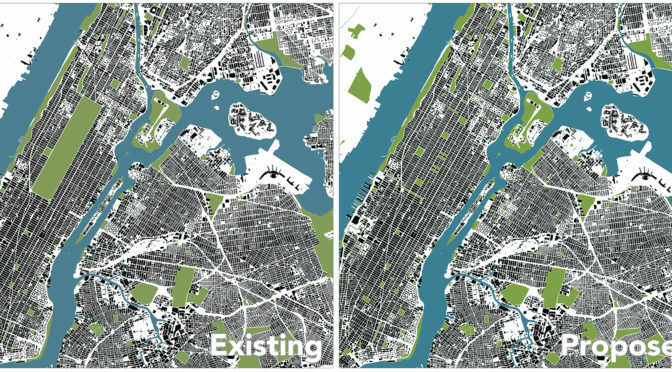 Detail-scale View: (left) Existing, and (right) Proposed affordable housing neighborhoods for Central Park area of New York. Central Park lies in the heart of the most densely occupied, urban area of the United States: Manhattan Island in New York City. Central Park represents approximately 850 acres of raw land. It is readily available for the construction of affordable housing at the center of our greatest and most wealthy city, where there are an abundant quantity of enviable employment opportunities for our poorest citizens, while still leaving approximately 20% of that acreage (170 acres) untouched as ‘pocket parks’ in the newly created neighborhoods. According to the U.S. Census Bureau, the number of housing units in the five boroughs of New York City was 798,144 in 2000 with an approximate average density of 54.3 dwelling units per acre (du/acre). Residential density in Manhattan appears slightly higher with about 72,033 people/square mile in Manhattan, which translates into approximately 112.6 people per acre. An average household size of 1.5 people indicates an approximate housing density of 75 du/acre. 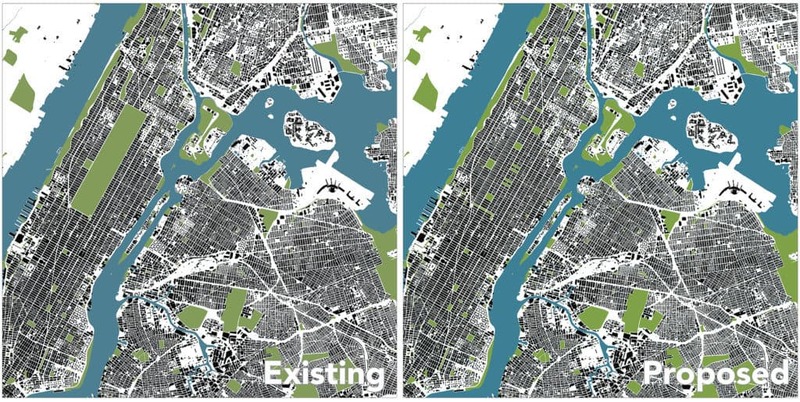 However, let us be conservative in our computations and proceed based on an average housing density of a mere 65 du/acre, approximately 15% above the average for the five boroughs but 15% below the greatest development potential for Central Park. 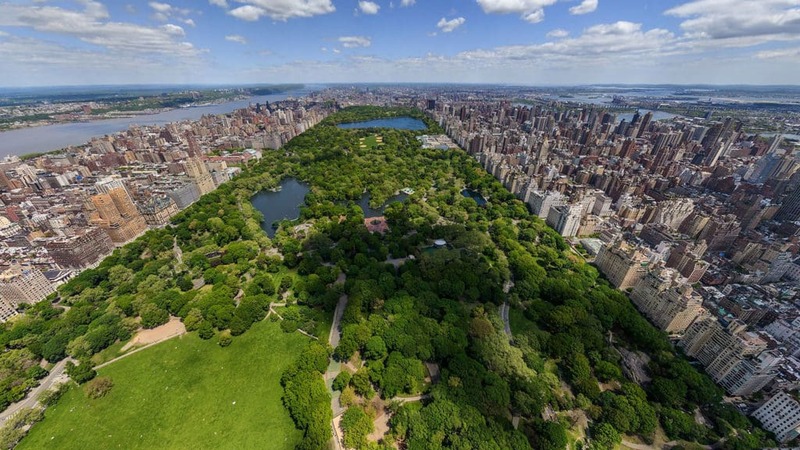 The City of New York could transfer 680 acres of Central Park into the ownership of private industry without cost, upon the condition that the construction of affordable housing within certain price point limits must commence within five years or else such lands will revert to public ownership in the future. This will represent a tremendous opportunity for private industry to profit on the land without having to bear the costs of its purchase. At an average housing density of 65 du/acre, this would provide for at least an additional 44,200 dwelling units in Manhattan. With further implementation of this strategy on more ‘greenfield’ development sites of New York City, the number of additional, affordable housing units will, in fact, approach a doubling of the current housing stock of Manhattan. There are approximately 28,000 acres of municipal parks in the five boroughs of New York. There seems little doubt that some of this public land may already exist as ‘pocket parks.’ Let us proceed based on the idea that only 50% of this acreage (14,000 acres) truly constitutes potential ‘greenfield’ development sites to be turned over to private industry for the construction of affordable housing. At an average housing density of 54 du/acre, this would generate an additional 756,000 dwelling units in the bound of the City of New York, effectively doubling the capacity of existing housing stock associated with Manhattan and potentially reducing housing prices by a significant percentage across the entire metropolitan region. Indeed, 130 square feet per person of recreation space for those living in the five boroughs seems redundant and excessive in a country where there are six acres of land for every single man, woman, and child. One might describe such space allocation as extravagant. It is akin to the false piety of persons who pray in public for the sake of demonstrating their piety for all to see and behold. Behold! We have so much space and money that we can willingly waste both in our cities and forsake affordable shelter for the neediest of fellow citizens! It is true the property values of all existing homes in Manhattan and across the five boroughs would experience significant declines in price. As other municipalities pursue this strategy of ‘greenfield’ development for more affordable housing in Western societies, properties in such cities will similarly experience a significant decline in the face of a rapid and dramatic increase in the housing supply. It is likely such decreases in property values will prove only temporary as market forces slowly re-assert themselves over time in the absence of the previous restrictions on housing supply. Such a period might last two decades, and perhaps as little as one for our most attractive cities, e.g. New York, San Francisco, Los Angeles, London, Berlin, Toronto, and so on. This very knowing Canadian of everyone’s acquaintance in New York argues our most prosperous cities are populated by the most educated, politically progressive, high-minded, and enlightened of our citizens. 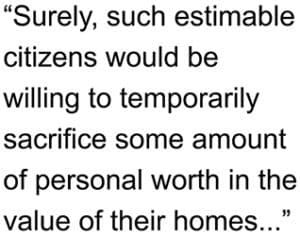 Surely, such estimable citizens would be willing to temporarily sacrifice some amount of personal worth in the value of their homes/properties for the sake of a fair solution to our affordable housing problem. I am assured by numerous public proclamations about their most charitable nature on this matter and many others issues of similar nature. It is also true that these new dwelling units in the heart of our most prosperous cities would only be affordable, in relative terms to nearby existing housing process, during the initial offering in sales to the general public. Eventually, the dynamics of the real estate market would reassert itself. This represents a tremendous wealth-generating opportunity for our most needy citizens through the mechanism of land appreciation. However, the initial injection of 44,200 additional dwelling units in Manhattan – and the potential increase of an additional 756,000 dwelling units in the five boroughs – would have a systematic effect across the housing market for the entire New York metropolitan region, effectively reducing the cost of housing in neighborhoods more peripheral to the five boroughs. Nonetheless, the creation of affordable housing neighborhoods in the vacant lands of Central Park will perform a public good in another regard. It will finally end the suffering of the Upper East Side and Upper West Side residents in Manhattan, who have been long segregated from one another in social terms by physical barrier of Central Park itself. The new neighborhoods of the ‘Upper Central Side’ will forever bind residents of the Upper East and West Sides together in a new interconnectedness of brotherhood and charity. It is also true that a ‘greenfield’ development strategy for some cities (e.g. unsuccessful ones such as St. Louis and Detroit) would be a fruitless gesture due to the number of public-owned lots arising from the wholesale demolition of historic housing stock over the previous seven decades. However, such municipalities may pursue a strategy founded on the same principles by the wholesale release of these public-owned lots to private industry with the same restriction imposed on the land in a ‘greenfield’ development strategy. Nonetheless, a ‘greenfield’ development strategy will also afford our most prosperous cities, especially those in North America, with an opportunity to further densify their housing and neighborhoods, thereby making public transportation alternatives such as rail transit more economically viable options in such cities over the long term. 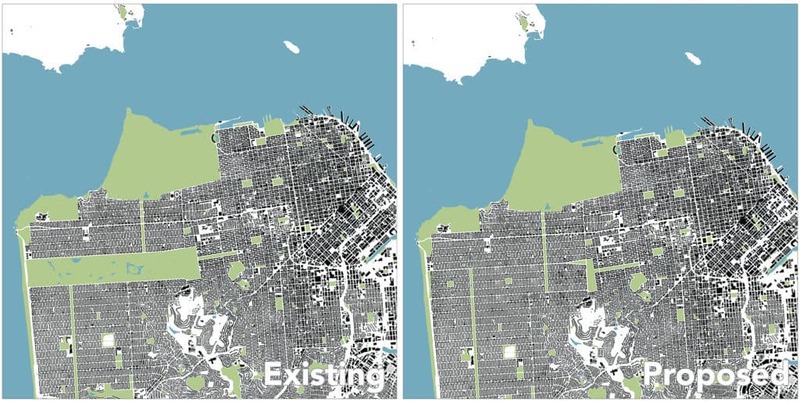 Large-scale View: ( left) Existing, and (right) Proposed affordable housing neighborhoods for Golden Gate Park area of San Francisco, California. Other municipalities of our most prosperous and expensive cities could elect to pursue this supply-side strategy for more affordable housing. 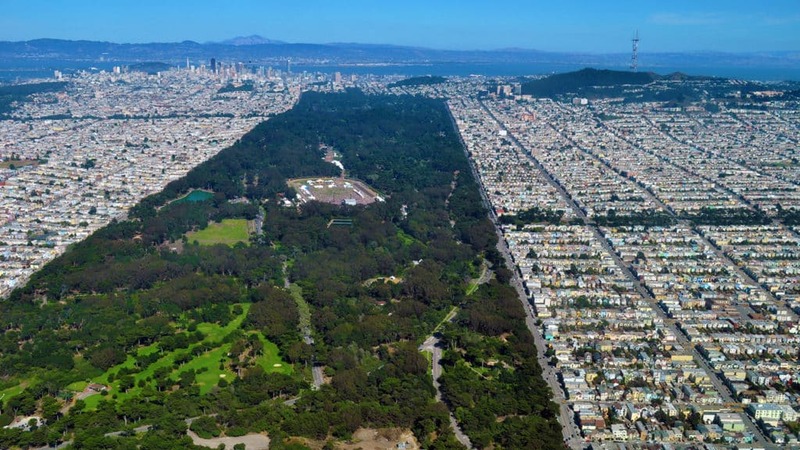 For example, Golden Gate Park in San Francisco, California represents another potential ‘greenfield’ site of 810 acres (less 20% retained for ‘pocket parks’ of the total 1,013 acres). At a mere 50 du/acre, this could represent another 40,500 dwelling units introduced in short order to the San Francisco housing market. According to the San Francisco Recreation and Parks Department, they manage approximately 3,400 acres of parkland in San Francisco alone. Again, using conservative computations, this potentially translates into an additional 85,000 dwelling units with approximately half of that situated in the former Golden Gate Park. 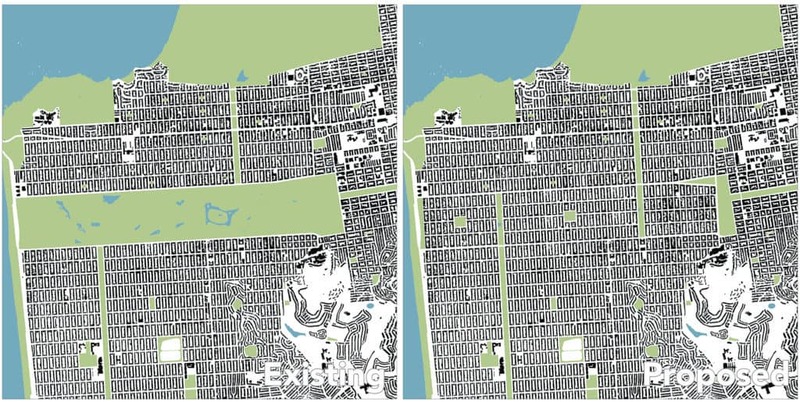 Detail-scale View: (left) Existing, and (right) Proposed affordable housing neighborhoods for Golden Gate Park area of San Francisco, California. In central London, the potential of ‘greenfield’ development sites for more affordable housing is significant in such places as Hyde Park/Kensington Gardens, Regent’s Park, Lee Valley Park, Richmond Park, and Hampstead Health, which alone could conservatively account for an additional 350,000 dwelling units in the London housing market. Potential ‘greenfield’ development sites for affordable housing neighborhoods include Hyde Park/Kensington Gardens, Regent’s Park, Lee Valley Park, Hampstead Health, and Richmond Park in London, United Kingdom. Simultaneously, if every national bank and even all Federal, state, and local government agencies released all of the properties and housing units they owned on to the market, this would have an immediate effect of reducing cost by dramatically increasing the supply of housing and/or sites for housing. Indeed, for at least a decade now, perhaps even longer, our national banks, many headquartered in the Wall Street ‘heart’ of Manhattan, have desperately sought a means to make a more honest profit. Releasing all of the properties on their books will be an important step along their way to redemption in the eyes of our fellow citizens. Download a printable PDF of this article here. 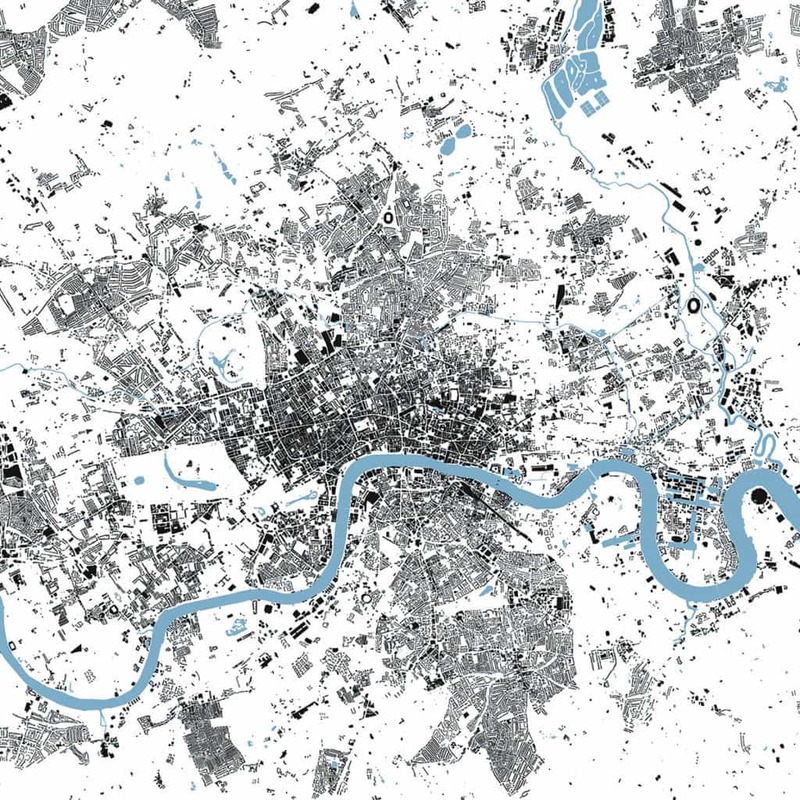 Population density and land area data compiled based on U.S. Census Bureau, Wikipedia, City of New York, City of San Francisco Recreation and Parks Department, and Greater London Authority. Florida, Richard. 2016. “Mapping How America’s Metro Areas Voted.” CityLab, December 1, 2016, retrievable at http://www.citylab.com/politics/2016/12/mapping-how-americas-metro-areas-voted/508313/. Major, M.D. 2017. 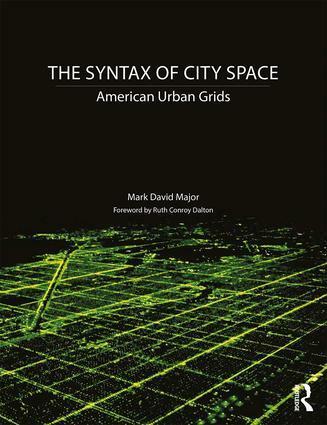 The Syntax of City Space: American Urban Grids. New York: Routledge Books/Taylor & Francis Group, forthcoming in Fall 2017. Swift, Jonathan. 1729. A Modest Proposal For preventing the Children of Poor People From being a Burthen to Their Parents or Country, and For making them Beneficial to the Publick. Central Park, Manhattan: Friends of the Upper East Side Historic Districts, retrievable here. Golden Gate Park, San Francisco: Photograph by Rich Prillinger, retrievable here. 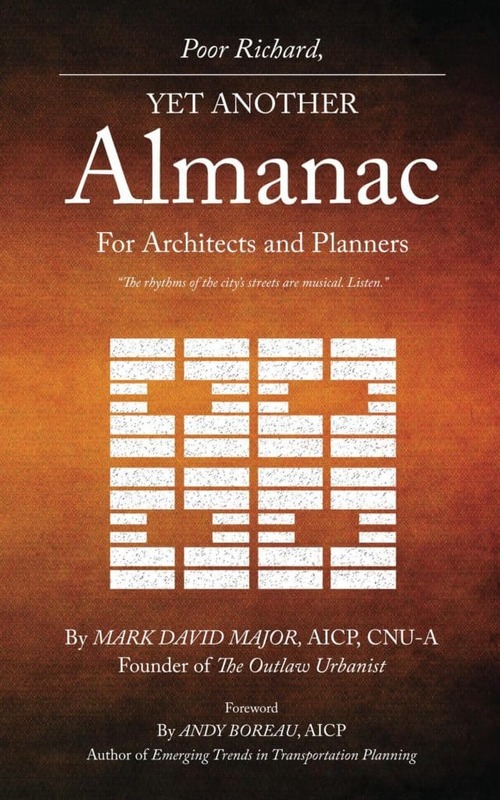 New York, New York with Building Footprints: Originally available from schwarzplan.eu, retrievable here. San Francisco, California with Building Footprints: Originally available from schwarzplan.eu, retrievable here. London, United Kingdom with Building Footprints: Originally available from schwarzplan.eu, retrievable here.